Frk. Slej: My Philosopher Crush! 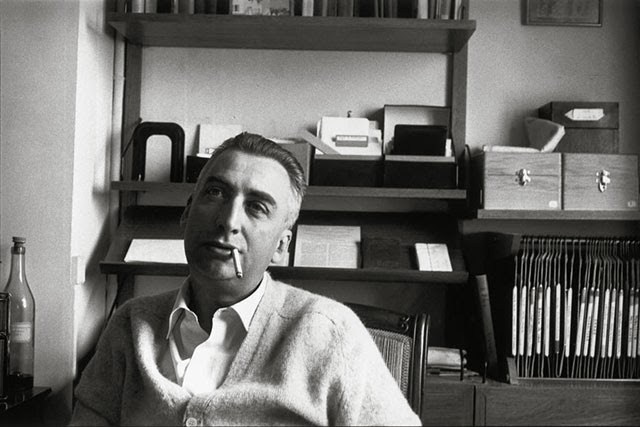 One of the writers I enjoy reading the most, is Roland Barthes. Not only because he is a theorist who is actually not too hard to read or because he is French, but because he writes incredibly beautiful. 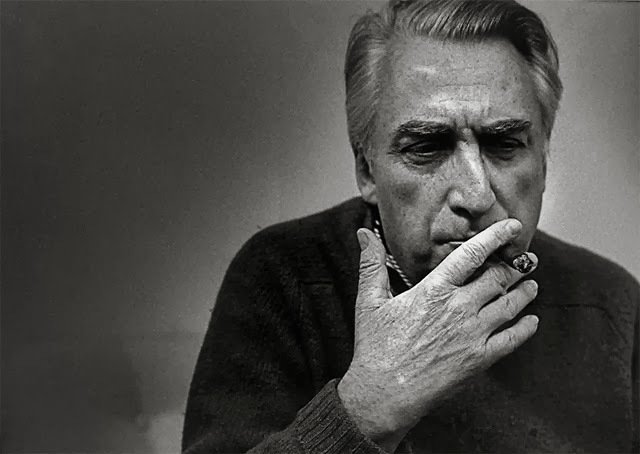 His most famous books are probably Camera Lucida and Mythologies but my personal favorite is A lovers discourse which I read more than once. My next reading from him will be his lecture series on How To Live Together. It is conveniently placed in the pile of my dissertation research books, and once when I pull myself together I will start for real on a little essay in French called Le Plaisir du Texte which I know will require a lot of energy. He is one of the people I would most like to meet, but since he is died before I was born this will remain but a dream. Instead I have to settle for reading his books (which is not too bad) and look at the few pictures that exist of him from his study where he looks so cool.